Did you know that the PTA has their own Facebook Group and Website? We share important reminders and information weekly, and would love for you to be included! Find our website at http://www.grahampta.org and join our Facebook page at http://www.facebook.com/groups/grahampta/. 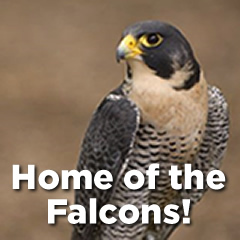 This week's newsletter is jam-packed with events and committee sign-ups, as well as updates on our Falcon Fundraiser! We excited to keep working towards our $8,000 goal - thanks for getting those donations in! We need volunteers to join our Luau-themed event on Friday, September 28th during the day - please see the signup here: https://www.signupgenius.com/go/10c054eacaf28a6fd0-falcon for volunteer time slots! Hope to see you at our first PTA meeting this week on Thursday at 9:30! We'll have coffee and refreshments for you!